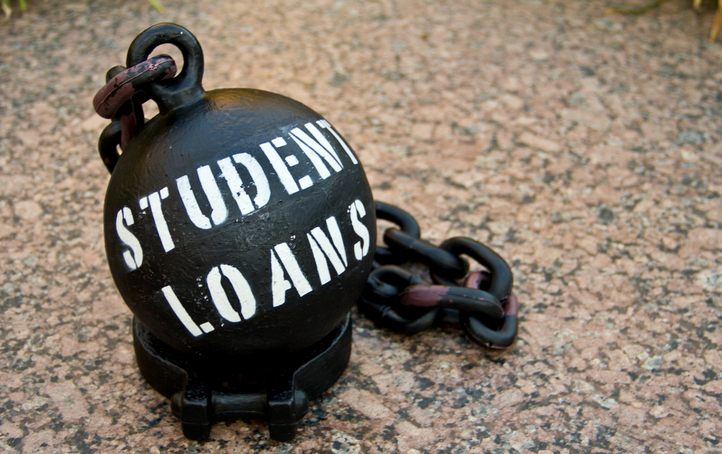 Earlier this year, the Consumer Financial Protection Bureau launched a public probe into potentially anti-consumer practices of the student loan servicing industry. More than 30,000 people responded, leading the Bureau, along with the Departments of Education and Treasury, to release a framework they hope will curb these questionable practices, promote borrower success, and minimize defaults. The report [PDF] highlights the key issues that concern many borrowers and includes recommendations on how those problems can be handled. Borrowers complained about their difficulties in obtaining accurate and comprehensible information on alternative repayment programs and other benefits, including income-driven repayment plans. In some cases, commenters said their servicers, instead of providing information regarding payment plans, had suggested they postpone payments through forbearance or deferment, or instructed them that the only available option was to pay the full amount due. In other instances, borrowers say they were not given pertinent information about plans unless they took the step of inquiring directly about these options. Like other loans, student debt can often be sold from servicer to servicer without the borrower’s approval. But borrowers say they often aren’t being made aware of the change in servicer, resulting in confusion about new policies and practices, and sometimes leading to missed and late payments, and other problems. Many people who filed comments with the CFPB mentioned having difficulty in accessing accurate account information and then addressing errors that could dramatically impact their credit reports and scores. When you send in more than you owe one month, do you know how your loan servicer will apply that overage? Servicers are not consistent on this, and many consumers are consequently in the dark. This is just one of the processing-related issues highlighted in the report. Others included commenters who making monthly payments in the amount instructed by their servicer, but who continued to experience errors, leading to the payments being flagged as missed, which means unexpected late fees, and surprise interest charges. A borrower says his servicer delayed applying his payment by up to 21 days, which meant his loan was accruing more interest than it should. In one case, he says the servicer simply never applied one payment he received. The CFPB also found that consumers experienced issues in receiving notifications regarding their payments due and statements detailing previous action on their accounts. According to the report, certain borrower groups — like servicemembers, veterans, and older Americans — experienced problems related to their particular circumstances. For example, some servicemembers tell the CFPB that they were guided into military deferments or forbearance and were not told that their total loan debt would balloon at the end of their military service due to accrued interest. Likewise, older borrowers who co-signed on private student loans, stated their payments are misapplied to all loans held by the primary borrower, instead of only the loans they have an obligation to. • Create consistent, industry-wide standards for the entire servicing market: The market currently lacks consistent standards that cover the servicing of all private and federal student loans. Consistent standards should help ensure that consumers know what to expect from their student loan servicer and that distressed borrowers can access available assistance. • Hold servicers accountable: Regulators must continue to act to protect borrowers if errors occur or if servicers break the law. Consumers should be able to access adequate customer service to answer questions and resolve errors. • Provide access to clear, timely information: The agencies call for information provided by servicers to be accurate and actionable, ensuring borrowers are empowered to make choices that encourage borrower success and mitigate defaults.